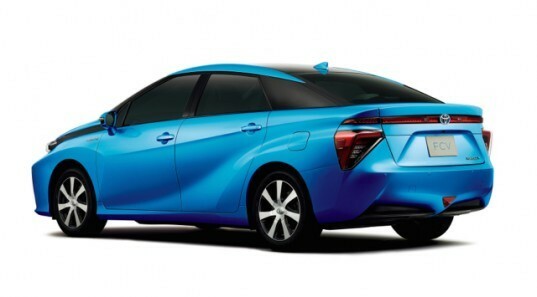 Toyota has officially unveiled its new hydrogen fuel cell sedan in Japan. The fuel cell sedan was previewed last year as a concept and now Toyota is giving the world a first look at the production version, which is slated to go on sale next year. The yet to be named fuel cell sedan doesn’t stray too far from the design of the concept that made its debut almost a year ago at the Tokyo Motor Show. Toyota is still keeping most of the details under wraps, but we do expect the fuel cell sedan to have a range of around 400 miles with a top speed just over 100 mph. When the fuel cell sedan goes on sale in Japan in April, 2015 it will be priced at 7 million yen, which converts to about $70,000, although Toyota has yet to release the pricing for the U.S. version. It will go on sale in the U.S. and Europe by the summer of 2015. Toyota sees hydrogen fuel cell vehicles as a more viable alternative to gas powered vehicles than existing battery-electric vehicles. Toyota is also not alone as Hyundai recently launched its Tucson fuel cell vehicle and later this year we are expecting a new fuel cell vehicle from Honda. Although fuel cell vehicles have a longer driving range and can be refueled faster than electric vehicles, the biggest hurdle is the lack of hydrogen re-fueling stations to keep them on the road. Currently in the U.S. hydrogen fuel cell vehicles are largely restricted to Southern California, where most of the stations exist. Though the range is currently 236 with the 85kwh battery, for the price of this fuel cell car, you could buy a Tesla, and never have to pay to charge as you cross the country. With the limitations being the refueling stations, how is this car practical for that price when we have Leafs, Teslas and others already on the market? 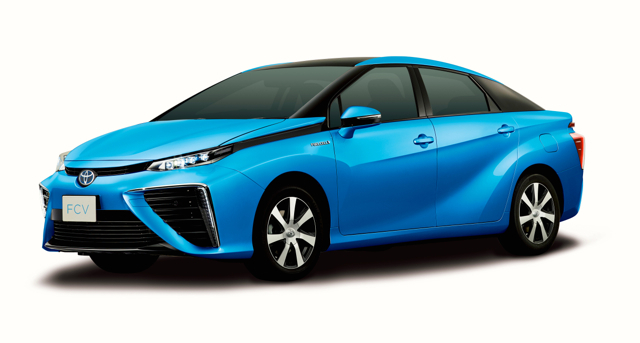 Toyota has officially unveiled its new hydrogen fuel cell sedan today in Japan. The yet to be named fuel cell sedan will arrive in the U.S. next summer.